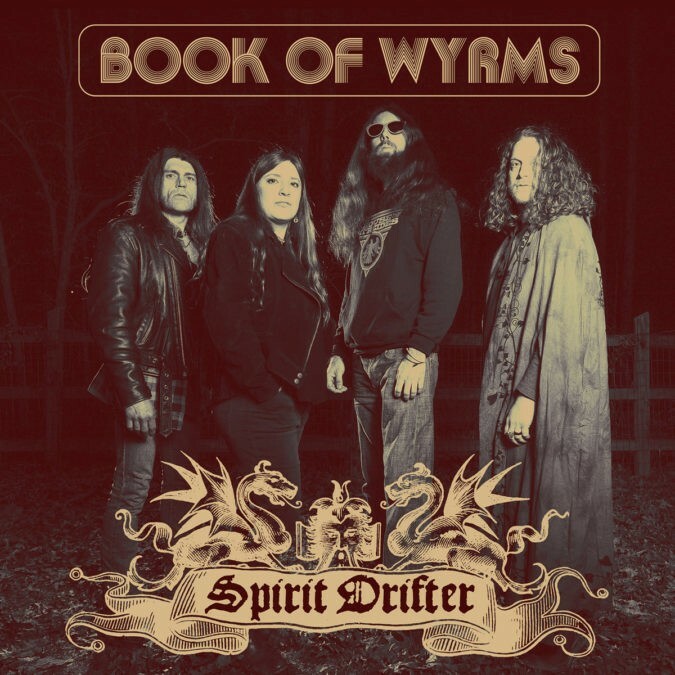 The RVA based space metal and psych-doom quartet BOOK OF WYRMS release a stunning new single today, “Spirit Drifter“, from their upcoming sophomore album. Titled ‘Remythologizer‘, the band are currently at work recording the album, once again for Twin Earth Records, and a Summer 2019 release date is projected. Until then, the here and now “Spirit Drifter” reveals incredible growth in BOOK OF WYRMS overall songwriting. The song’s start begins with some solid doom style riffs, but things quickly enter a more fuzz enriched, groove-oriented delivery of morphing tempos and intensities. A detour into some synth accompanied passages of cosmic jamming offset the track, as a vintage contemporary rock feel in the music is righteous. BOOK OF WYRMS‘ Sarah Moore Lindsey (vocals / synthesizer), Chris DeHaven (drums / percussion), Jay “Jake” Lindsey (bass / synthesizer), and guitarists Kyle Lewis and Ben Coudriet, give irrefutable evidence to support why they are rapidly rising through the ranks of the heavy rock underground. Stream the “Spirit Drifter” single below and on a related note, BOOK OF WYRMS will play the upcoming Grim Reefer Festival in April, and were just announced for the second annual Ohio Doomed & Stoned Festival this July. They have other live appearances also scheduled, find them all listed with details below.